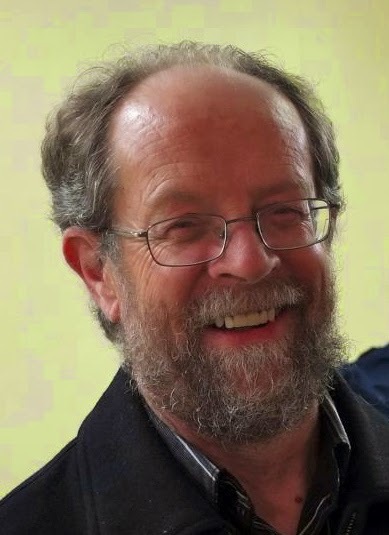 I was lucky enough to connect with New Zealand children’s author, musician, actor, and composer Mike Crowl on Google+. I chose the above image to represent this grounded, yet talented man because the quote seems to exemplify his attitude and writing style. This man of faith and integrity infuses his work with the same traditional values as mine. He concentrates on promoting healthy relationships and principles through humorous, simple words. This blog post is longer than my usual ones. However, it’s well worth the read. The highlighted topics will be useful to parents of young children, authors, and readers of any age. In this post, I will focus some of the questions on his book, Grimhilda! However, don’t let it stop you from checking out his other work! Your work is cute and humorous; yet, it touches on deep life truths. Is there a main message that you would like to get across to people through your work? I don’t set out to provide a message in my books. The message seems to arrive of its own accord, and different people see different things when they’re reading. I think this struck me most particularly when we were doing the musical production of Grimhilda! which came before the book version. One of the cast said to me that the point about parents not giving their children enough time had come across forcibly to her in regard to her own situation. That was a surprise, because not only didn’t she seem to be an unloving parent, but I hadn’t thought of that as being the most important thing in the story. I think fiction authors often don’t realize or appreciate everything that appears in their books. They may start out intending to write about such and such a theme, but something in the creative process takes over and almost without the author being aware, other ‘themes’ creep in. Authors are so close to the books and they often only see things that are important to them. But the readers ‘discover’ other things altogether. Personally, I agree with the general opinion that your “children’s books” convey life truths that are significant for all. What is the secret to touching the lives of people of all ages? I suspect that the best way to touch other people’s lives is to write the book that pleases you the most. When Thomas Hardy wrote books primarily for himself, they were immensely popular; when he wrote them according the requirements of editors (for serial magazines) they weren’t nearly as successful. What draws children, in particular, to your books? The story has to be enjoyable, exciting, imaginative, something that the children can get involved in. They might not be so brave if they were in the hero or heroine’s shoes, but seeing someone else doing brave things is an encouragement not to hold back in the real world. I think it’s what gives actors a buzz, too, playing out the lives of good and bad characters who do and say things you probably wouldn’t have the chance to do in your own life. In Grimhilda!, your main theme concerns the importance of stable parent/child relationships. How important do you think this topic is in today’s society? I think it’s a very important thing. Ultra-busyness is a plague in our Western society, and I see some parents hectically taking their children to half a dozen different activities a week, as though they were trying to cram every experience possible into their lives. Other parents insist their children work hard from morning till night at learning. But in both these situations these things aren’t done out of love so much as out of a determination that the children will excel in life. Perhaps it’s more important to relax more and just be happy to be with your children. What, or who, does the character of Grimhilda represent? Grimhilda is just herself. She’s the villain of the piece and acts selfishly and ambitiously at all times, using her power to destroy where she can. I don’t think of her as ‘representing’ anyone in particular, unless it’s some of the politicians our country has had over the years! 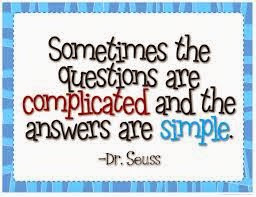 What do you find most fulfilling about writing children’s literature? What drew you initially to it? I’ve written drafts of several adult novels, but never been quite satisfied with them, though if I’d worked harder at them perhaps they would have got to a point of being published. I also expanded a short story I wrote about children having to deal with their father marrying again into a longer book. Unfortunately it refused to find a proper ending, and it’s languished since then. So I’m not drawn more to children’s literature than to stories for adults. On the other hand, I haven’t felt I’ve been able to find my own voice so successfully in the adult stories. Does your motivation for writing blog posts differ from your motivation for writing books? No, I just like writing! However, I think that blog posts (like a column I wrote for five years back in the 90s) are a place where I can write with that vein of humor that you mentioned at the start. I can write about serious things without having to do it in a fully serious style. For me humor is an essential. Too many novels written by New Zealanders are very gloomy and dour, even though it isn’t a characteristic of our people in general. Last year I began reading some of the children’s stories written by one of our top writers for children, Maurice Gee. He writes some fantasies and some more realistic stories. But they’re very dark, and there’s little humor around. I don’t personally see that as a way of writing for children. Everything under the sun. it’s a danger to me to have my computer on all the time, because I’m always thinking of something to jot down on Twitter, or Facebook, or something that I have an opinion on and feel needs to be written down. Other people’s stories inspire me - or annoy me - as do movies, newspapers…you name it. I don’t think any writer worth his or her salt is lacking for inspiration. And I’m a great believer in sitting down at your desk and getting on with the job. Waiting for inspiration is a false approach to writing. What one tip would you give to new authors? Keep writing, even if at first it’s drivel. In the end the good stuff will find its way through. Forget the idea of “writer’s block.” The great writers sat down at their desk every day and got on with the job. They may have found themselves going down bypaths and having to get back on the right track ˗ George Eliot famously abandoned a huge chunk of writing she’d done on one of her best books because it wasn’t ‘right’ ˗ but they kept on writing. All art needs constant practice. Thomas Hardy (I’ve just been reading a biography about him) was still going to ‘work’ at his desk every day when he was in his eighties. And the other thing is: be a voracious reader. You learn a great deal from reading. Generally speaking, have you found useful connections and sales through social media? Or, have you found better luck through word of mouth? Social media is worth its weight in gold. That’s not to say that it will necessarily result in increased sales, but certainly the connections and support are of considerable value. On the other hand, I think that word of mouth is a good selling tool. People who self-published, especially if they only publish on e-platforms, have a big job getting their books known. You have to take every opportunity that arises. And make opportunities as well. Mike Crowl has written stories and composed music (as well as performing it) most of his life. He wrote a weekly newspaper column for five years, back in the nineties, and for the last twenty-five years he’s published articles in newspapers and magazine. 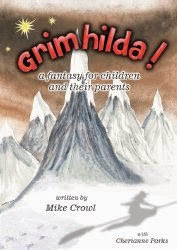 In 2012 he co-wrote the script of a family musical, Grimhilda!, and composed the music, and in 2014 he published this as a book for children, along with a sequel and a non-fiction title. Mike has been a Christian all his life, growing up in a Catholic family, moving into a Pentecostal Church in the mid-seventies, and then later joining a Baptist Church, where he and his wife have served for around 25 years. Well done!! I really enjoyed reading this interview. You did a great job of showing us what a unique and talented man he is. Hi, Rosanne. I thank you for your kind support! Mike is uniquely talented! He deserve every success.